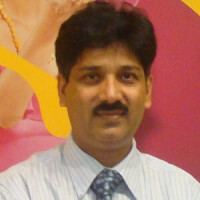 Mr Maneesh Tripathi is the CEO of SGX-listed Si2i. The company distributes mobile prepaid cards of major telcos in Indonesia and retails mobile devices targeted at various markets. He has more than 25 years of experience in various leadership positions in Multinational Companies. Mr. Tripathi is an Engineer by qualification with a Degree in Electronics and Telecom from Jabalpur Engineering College (India) and has a PGCGM/Management from Indian Institute of Management, Calcutta, India.